Wrap the ball chain around your finger, measuring at the widest point. 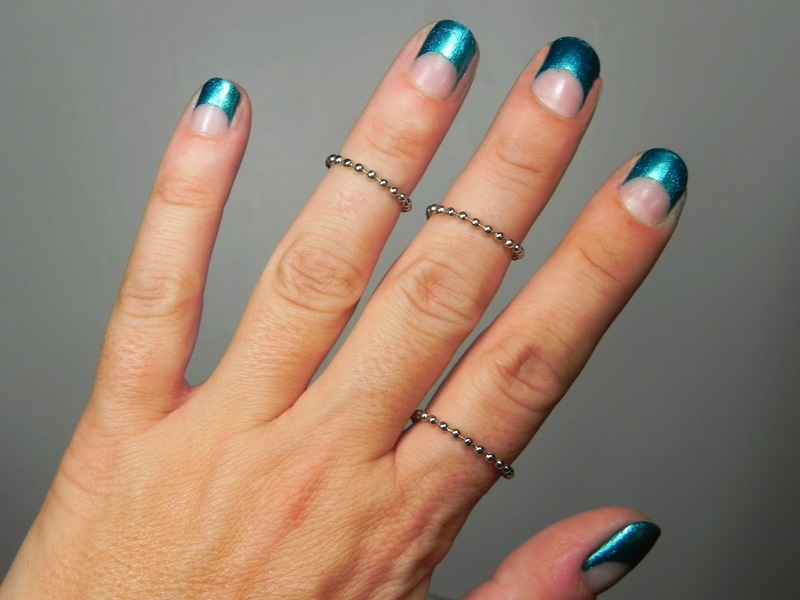 If you're doing a midi ring, this should be where you want it to lie. If you're doing a regular ring, measure around your knuckle. Snip one ball down from where the end ball meets. Add the connector to one end. Voila! Make a few to stack on your fingers, and make more to stack on multiple fingers! I hope you're inspired to make your own, and if you do be sure to snap a pic and instagram it with #snsDIY!